The Country Inn & Suites Wilson offers everything guests need for an enjoyable stay. Featuring such lavish amenities as high-quality bedding, 32” flat screen TVs, complimentary high speed internet and WI-FI, complimentary deluxe continental breakfast, refrigerator and microwave in every room, indoor heated pool, exercise room, business center, free long distance calling, and meeting/banquet rooms. 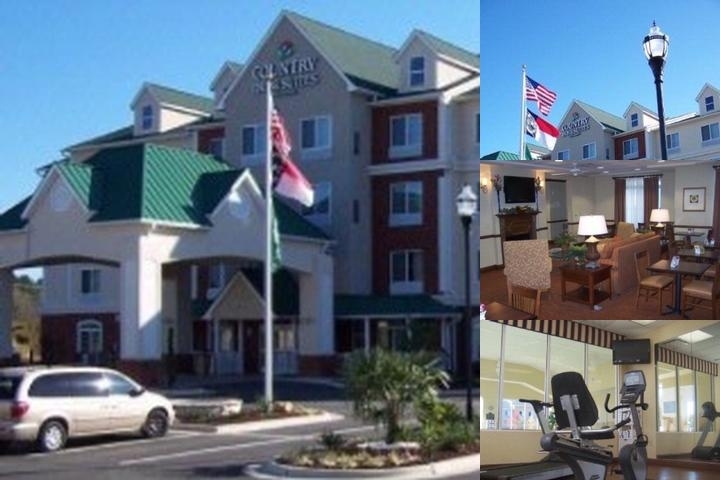 The Country Inn & Suites truly stands out among Wilson, NC hotels. Your credit card will be charged for a full nights stay if reservations are not cancelled by 6pm the day of arrival. Rocky Mount/Wilson International is located 11 miles SW of hotel. Raleigh/Durham International is located 51 miles E of hotel. Complimentary High Speed Internet and Wi-Fi in rooms and public areas. The Country Inns By Radisson highlights above are subject to change without notice. 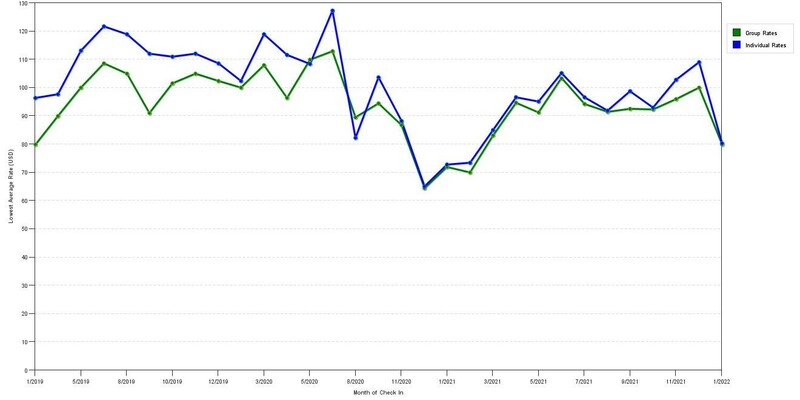 This graph illustrates seasonality of sleeping room prices for both group/meeting prices and the most competitive individual traveler rates our rate checker could find at the time the group/meeting offer was submitted. The most competitive group/meeting discount shown is 17.5% in April 2019 and the highest average individual rate is $122 in the month of June 2019. This chart will show past seasonality and also project future months. If you are flexible with dates, you may want to consider staying at Country Inn & Suites in a month when rates are lower. Below are the meeting, banquet, conference and event spaces at Country Inn & Suites. Feel free to use the Country Inn & Suites meeting space capacities chart below to help in your event planning. Hotel Planner specializes in Wilson event planning for sleeping rooms and meeting space for corporate events, weddings, parties, conventions, negotiated rates and trade shows. Hosting a business meeting or social event? The Country Inn & Suites Hotel Wilson is the perfect venue for your upcoming event. 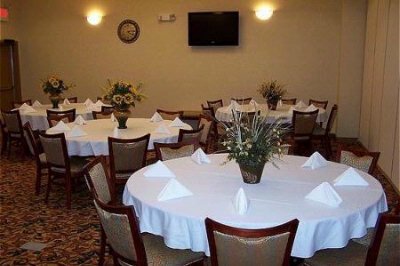 Our Wilson, NC hotel's meeting rooms feature a variety of convenient amenities, including catering services, floral arrangements and a professional staff to assist with event planning. 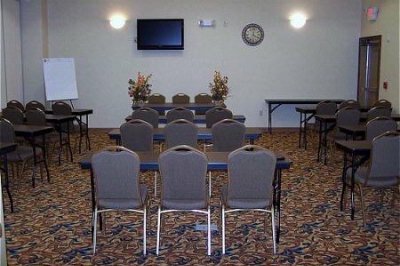 With our versatile meeting space and the help of our friendly staff, your event at our Wilson, NC hotel will be a complete success. 27 x 25 x 12 Ft.
Hosting a business meeting or social event? The Country Inn & Suites Hotel Wilson is the perfect venue for your upcoming event. Our Wilson, NC hotel's meeting rooms feature a variety of convenient amenities, a professional staff to assist with event planning. With our versatile meeting space and the help of our friendly staff, your event at our Wilson, NC hotel will be a complete success. 27 x 52 x 12 Ft.